Keith Sparks concentrates his legal practice in representing and fighting for individuals. His representation seeks to ensure fair and proper treatment or compensation under the law for hardworking individuals when they have suffered injuries at work or by any other wrongful conduct. This focus has led to him representing hundreds of individuals in workers’ compensation cases for work-related accidents and injuries. Since joining Katz Friedman, Keith has litigated numerous cases against employers and corporations to ensure injured workers receive their just compensation. His workers’ compensation experience includes severe injuries involving: neck or cervical spine, low back or lumbar spine, shoulder injuries, carpal tunnel, arm or elbow injuries, leg or knee injuries, multiple repetitive work type injuries, disfigurement or scarring claims, and numerous other types of injuries involving workplace accidents. He has litigated all over the State of Illinois against large businesses like: Chicago Transit Authority, American Airlines, Chipotle, City of Chicago, FedEx, Fram, Kraft Foods, State of Illinois, Walgreens Distribution Center, Dollar General, Aldi Foods, Mariano’s Fresh Market, Navistar and Walmart. He also frequently travels across the state to meet with and discuss cases with his clients and those who need representation. He has discussed various topics at multiple presentations given in front of injured workers, unions and its members, and at some law schools. These presentations covered multiple topics like: Workers’ Compensation, Social Security Disability, Family Medical Leave Act and American Disabilities Act. Prior to becoming an associate litigation attorney at Katz Friedman, Keith was a law clerk in the workers’ compensation department. During his tenure as a law clerk, he was able to work and train with Partners Rick Johnson and Phil Bareck. He has assisted in numerous Commission, Circuit Court and Appellate Court cases. Additionally, he assisted in researching and writing multiple Workers’ Compensation articles and publications. Keith Sparks was a litigation paralegal at Patterson, Buchanan, Fobes, Leitch & Kalzer in Seattle, Washington. Keith was responsible for the research and preparation of a significant class action case regarding due process violations against the City of Spokane Jail. Keith also prepared a case for trial that resulted in a $5.5 million dollar jury verdict against Washington State Patrol and Whatcom County District Court Probation department for a car accident case involving a drunk driver. Keith earned his Juris Doctor from DePaul University College of Law in 2013. He competed in the Willem C. Vis competition in Vienna, Austria as a member of the International Commercial Arbitration Moot Team. He was also an executive board member of the Asian Pacific American Law Students Association (APALSA) while at DePaul College of Law. Keith earned his Bachelor of Business Administration from Pacific Lutheran University in Tacoma, Washington in 2007. Keith is a member of the Illinois Bar and is admitted to practice before the Supreme Court of Illinois. 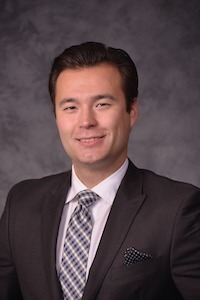 He is a member of the Illinois State Bar Association, Chicago Bar Association, Asian American Bar Association and Workers’ Compensation Law Association. Keith has performed pro bono legal services with Cabrini Green Legal Aid for individuals in need and low income. Additionally, he has performed pro bono legal services with the Chinese American Service League through the Asian American Bar Association. Keith has long history of volunteering and supporting the Boys & Girls Clubs of America. Additionally, he has donated and recognizes the causes of: Save the Children Foundation; Spirt of Youth; Math Education Science Achievement foundation; American Lung Association (ALA). Since 2013, he has participated in the Fight for Air Climb through the American Lung Association with other individuals at Katz Friedman.